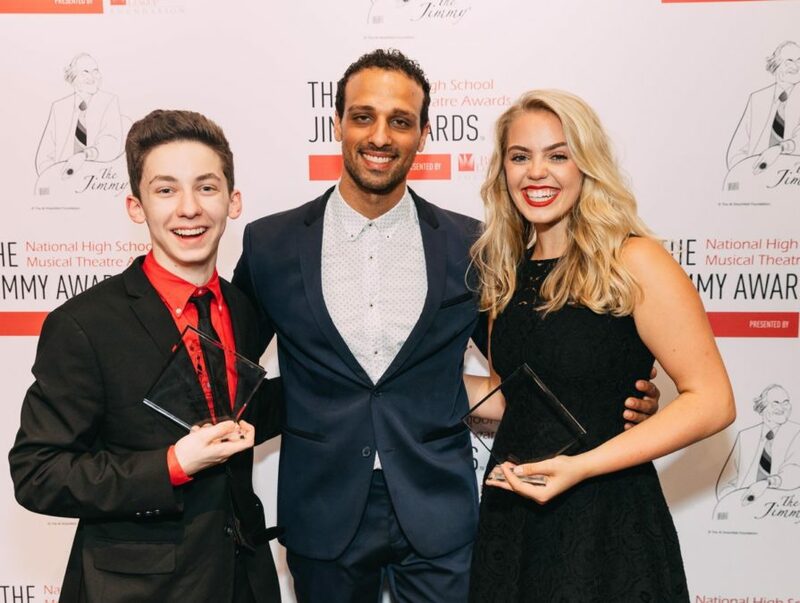 The 10th Annual Jimmy Awards took place on June 25 at the Minskoff Theatre, current home to The Lion King, and we're still celebrating all the winners. The Jimmy Awards, also known as National High School Musical Theatre Awards, is basically the Tonys for high school students. This year, more than 80 students competed and two were awarded the Best Actor/Actress title. Tony winner Laura Benanti hosted the night alongside a star-studded list of judges and presenters. Take a look at the photos below to see who won—we're sure we'll see their names on Broadway marquees one day soon! The 2018 Jimmy Award judges with Best Actor winner Andrew Barth Feldman and Best Actress winner Reneé Rapp. Best Actor winner Andrew Barth Feldman and Best Actress winner Reneé Rapp show off their awards.